Description: Mike talks visual storytelling with the wonderful Marcia Williams. She's the writer and illustrator of around 60 delightful children's books on subjects like the Greek Myths, the Romans, the Canterbury Tales and war stories. In this episode, we discuss the craft of visual storytelling. What comes first: the words or the pictures? And what might the lessons be for storytellers in other walks of life, including the business world? Mike talks visual storytelling with the wonderful Marcia Williams. 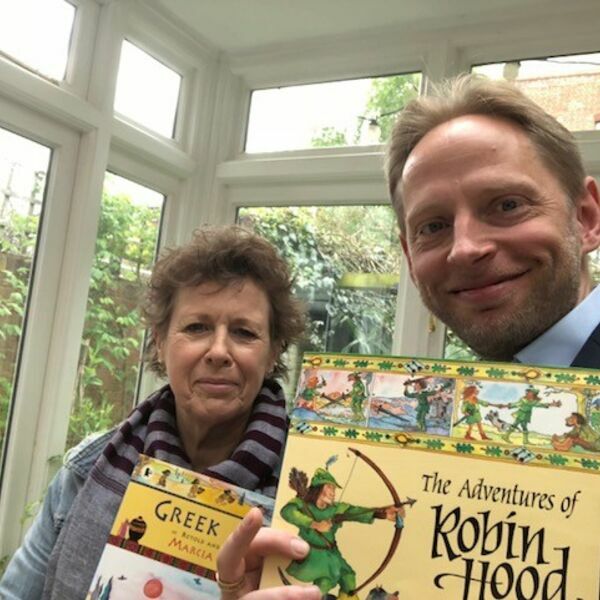 She's the writer and illustrator of around 60 delightful children's books on subjects like the Greek Myths, the Romans, the Canterbury Tales and war stories. In this episode, we discuss the craft of visual storytelling. What comes first: the words or the pictures? And what might the lessons be for storytellers in other walks of life, including the business world?